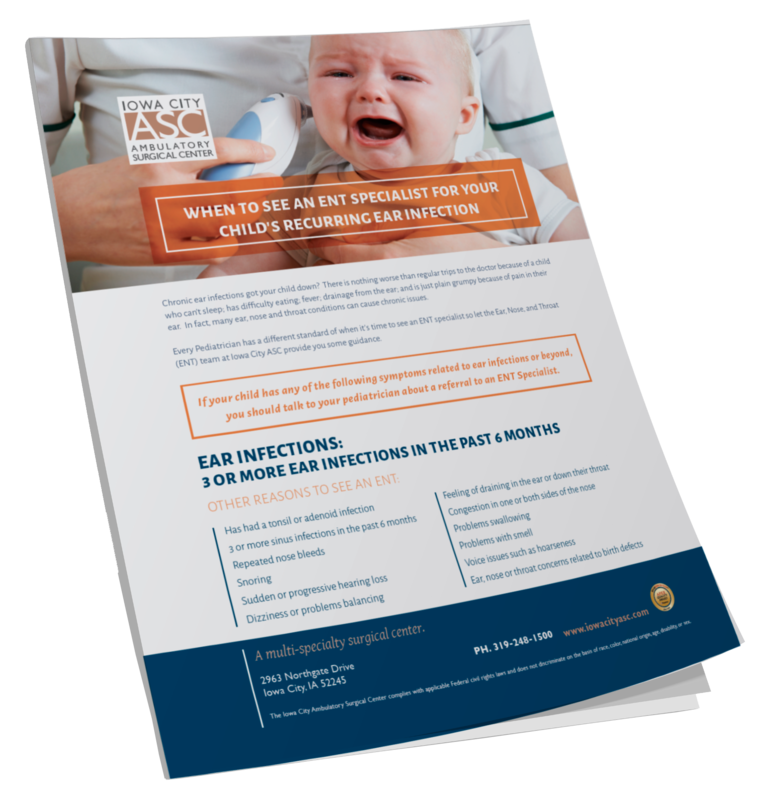 Wondering When to See an ENT Specialist for Your Child's Ear Infections? for Your Child's Recurring Ear Infections? Any parent who's heard their child crying out in pain in the middle of the night because of an ear infection knows how hard it can be. You feel helpless - especially when this is the 4th time this year. Many parents might wonder if there is more they can do to help. Regular trips to the doctor and seeing your child in pain because of ear infections can be frustrating but there is hope. This resource can help guide you in the right direction toward finding long term relief for your child.